Many Turkish citizens heed Erdogan's calls for boycott of US, post videos destroying symbols of America. After Turkish President Recep Tayyip Erdogan called on citizens to boycott US products as a protest against the sanctions imposed by the Trump Administration, many Turks shared on social media videos of them burning dollars and smashing iPhones as symbols of America. US President Donald Trump imposed sanctions on several Turkish officials and a 20 percent duty on aluminum and a 50 percent duty on steel in response to the continued imprisonment of US Pastor Andrew Brunson. 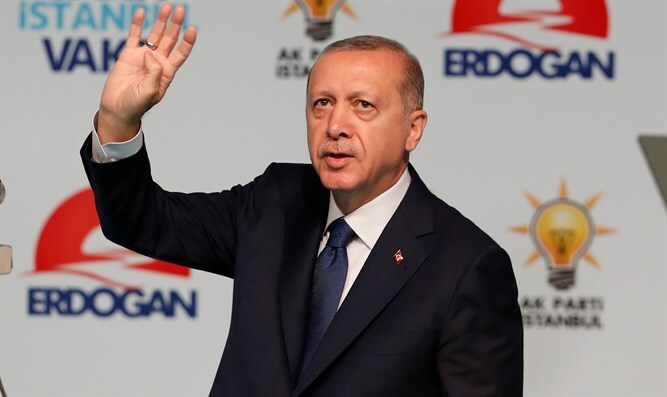 On Sunday, Turkish President Recep Tayyip Erdogan warned of drastic measures if businesses withdraw foreign currency from banks. The Turkish lira has dropped sharply in value in response to the economic standoff with the US.